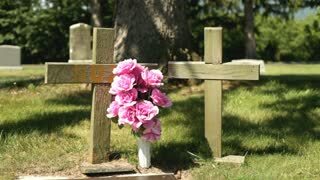 Search Results for "funeral flowers"
1980s: Grandparent leave graveside funeral. 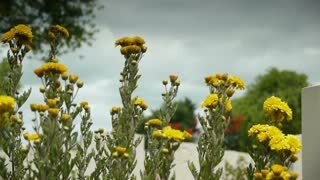 Sisters place flowers on casket at graveside funeral. 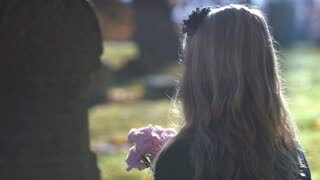 Friend leaves flower on casket at graveside funeral. 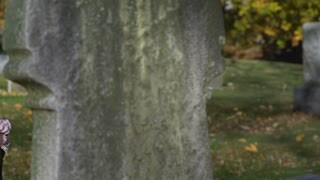 Ungraded: Funeral artificial flowers swaying next to the grave slab. Close up shot of colorful flower wreath, funeral bouquet. 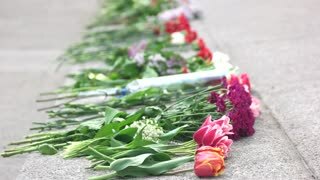 Many funeral wreaths with red and white flowers on a wall. Europe 1940s: people walk to funeral in black clothes. 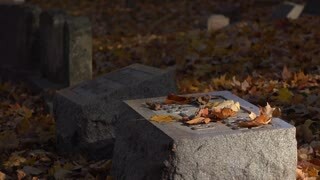 People lay flowers on graves. 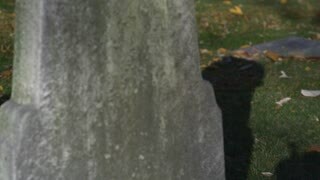 Zoom in on a gravestone with the inscription "Mother" in a cemetery. 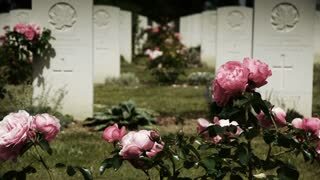 Pink flowers sit by the headstone and vaults of the family plots the the churchyard. 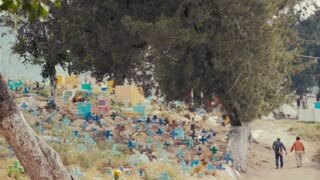 The morbid scene represents death, funerals, memorials and decay. 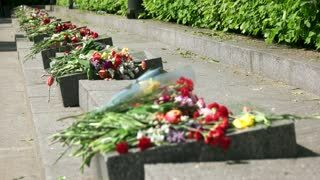 Flower bouquets on granite surface. Close up. Focused flowers. 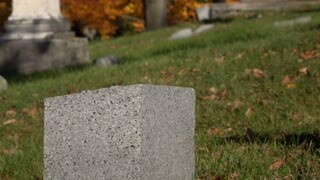 Headstone memorials with flowers bouquets. 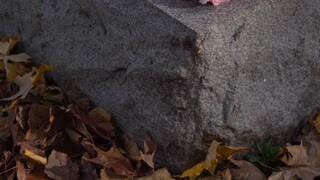 Granite stones, outdoor.